In this era of fake news and ‘deep state’ this couldn’t be more timely! The paranoid cult-classic science fiction mystery of the early days of indie comics returns! The series will begin with two books reprinting the original volumes, followed by the never before collected third album and concluding with an all-new fourth book of this epic series of conspiracy and paranoia. 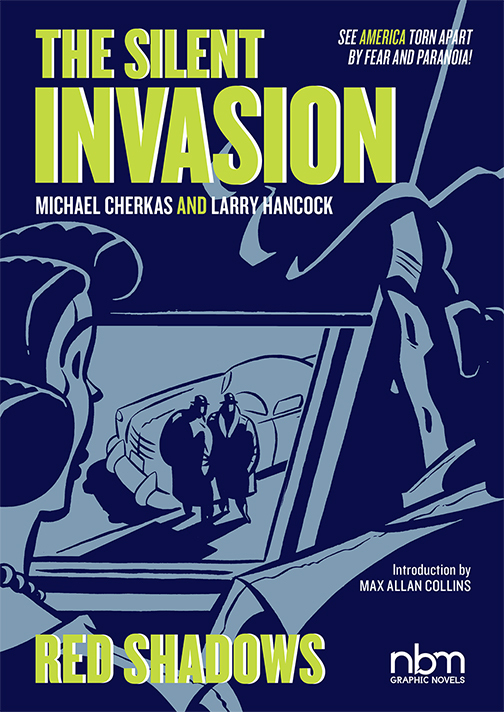 Set against the background of a nightmarish 1950s crawling with communist spies, corrupt FBI agents, McCarthyites, Stalinists, cold warriors, flying saucers, mysterious government organizations, The Silent Invasion weaves a byzantine tale of mystery and deceit as a bewildered investigative reporter Matt Sinkage pursues the truth behind an apparent alien invasion of earth that points to involvement at the highest levels of American government officials.